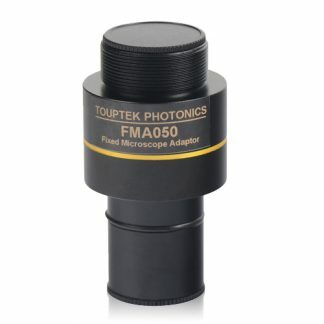 Microscope camera adapters provide a way to attach a camera to a microscope. There are several ways to do this depending on the camera you wish to use. 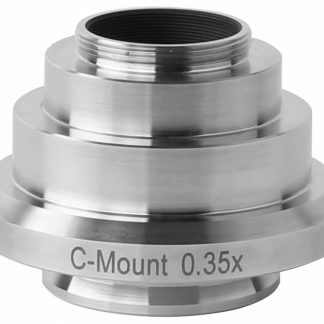 Almost all specific microscope cameras are C-mount which is a screw thread used originally on CCTV cameras. If your microscope has trinocular phototube, this is usually the preferred choice. 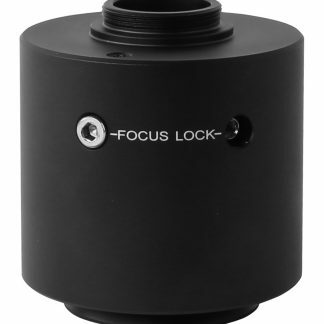 A wide range of cameras and adapters are available and the camera can be easily operated from your laptop. DSLR’s are usually attached via an adapter with a T2 thread. A camera-specifc T2 ring then attaches to the T2 thread. These tend to be inexpensive but less practical systems. 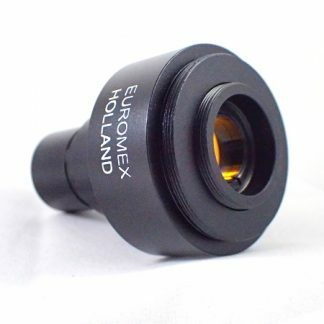 The microscope eypiece is removed and the camera placed in the empty eyepiece tube each time you wish to take a photograph. In simple terms, the circle of light produced by your phototube/adapter should cover your camera sensor. 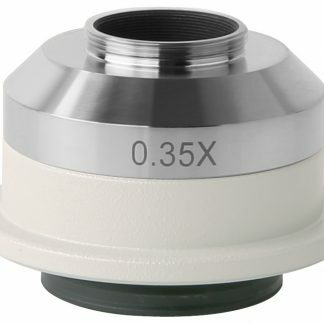 A typical example would be a 0.5x adapter on a standard 22mm FOV (field-of-vew) microscope producing an 11mm diameter circle FOV – this would match nicely with a 1/2″ camera sensor (8mm diagonal). 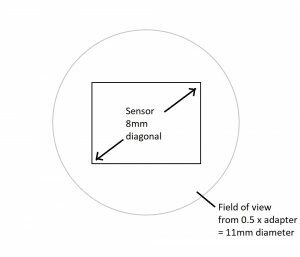 *2 Circle diameter refers to the resulting field of view size in mm after passing through the adapter lens. 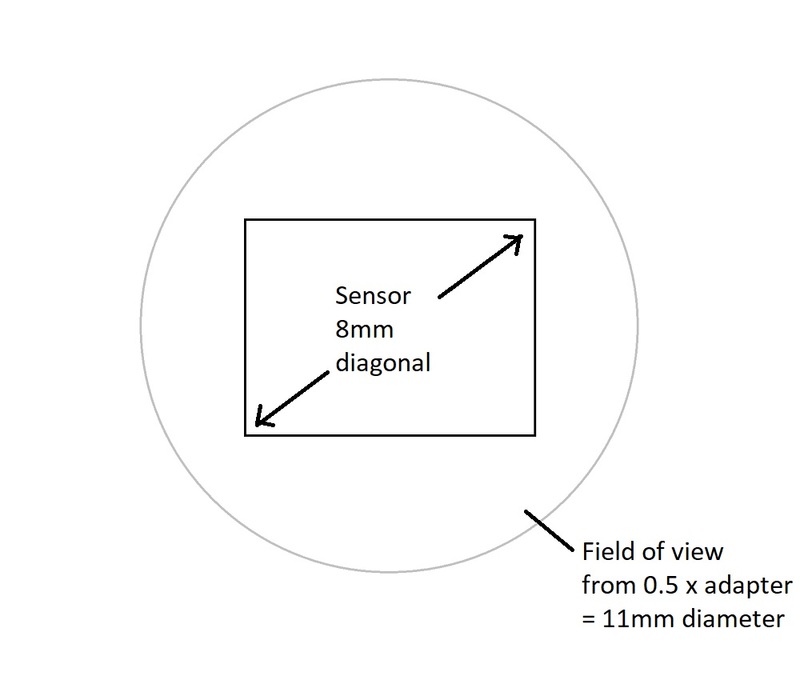 The diameter of the circle should be larger than the diagonal sensor size to ensure the camera sensor is fully covered. 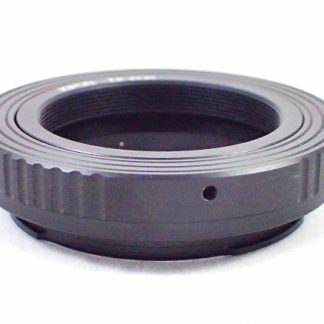 If you need help choosing microscope camera adapters, please contact us with details of your microscope and camera for more information and advice regarding which adapter to use. Due tothe huge range of adapters available, not all items are held in stock and may take longer to arrive than other items.